600TL Tire Width 1.850 (47.00mm). Our NEW Large Scale Treaded Lightweight wheels are substantially lighter than other aircraft wheels available. 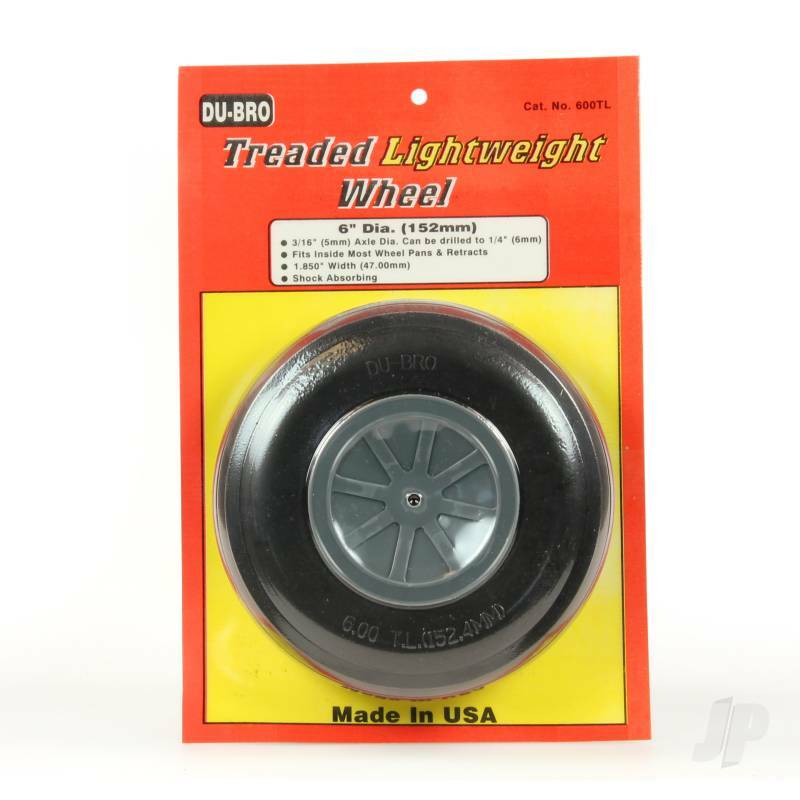 These lightweight wheels feature a foam interior yet have a tough and rugged exterior skin for durability. Excellent for paved runways! Hubs come with 3/16 (5mm) axle dia. opening and can be drilled out to 1/4.